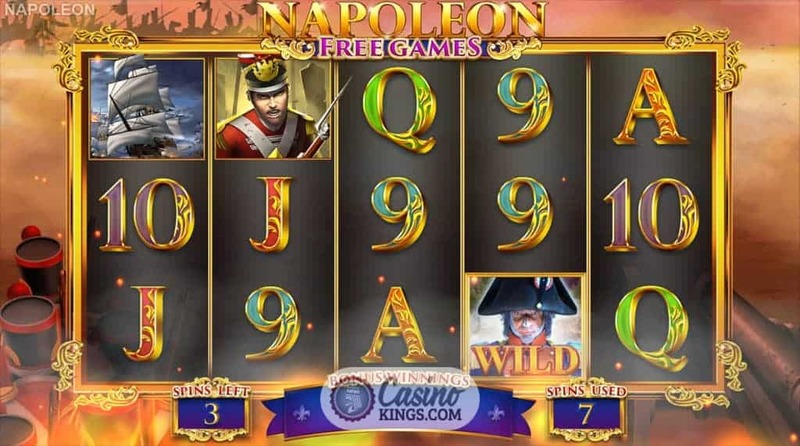 To live up to its name, Blueprint is often laying the foundations of great slots and the trend continues in force with the release of its Napoleon: Rise of an Empire Slot. 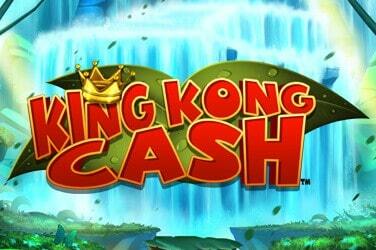 With the theme of epic wars appearing more frequently on slots, Blueprint hasn’t just jumped on the bandwagon. They’ve taken hold of the reins and raced the cavalry ahead, continuing its march to success. Just like Napoleon. Well, almost. As expected from a slot named Napoleon: Rise of an Empire, images of the little emperor and battalions come flooding to the front of the mind. 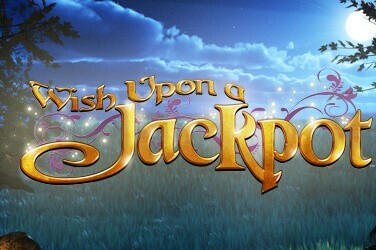 As they should, and this is exactly what we get on this slot. Played across a five by three reel setup and 20 pay-lines, it’s a familiar layout to other slots in Blueprint’s portfolio. 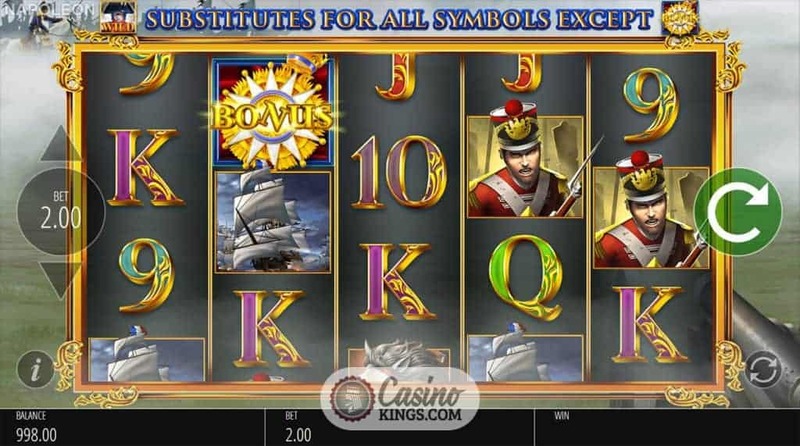 On an adventure during the 1800s, the symbols are rather fitting, including a Stallion, Ship, Cannon and Infantry soldier making up the high paying symbols, along with the Napoleon Wild and Bonus symbols. The card values 9 to Ace appear as the lower ranking infantry. Each spin of the reel exudes excitement on our expedition. 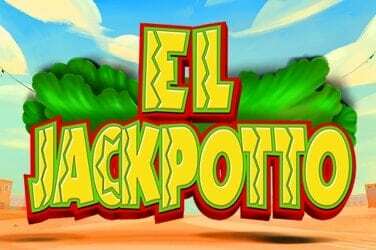 More so when we know we’re playing for a generous 10,000x our stake. We revisit Napoleon’s success, mirrored by the winning combinations we form. 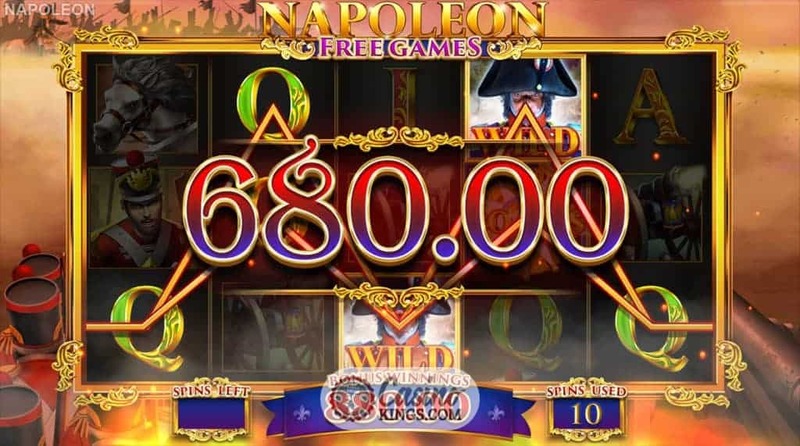 When Napoleon appears over the reels and shouts “Attack!”, we know one of the two base game bonuses have been triggered – either extra Scatters or Wilds added to the reels – and we charge our way to victory. The Napoleon Wild symbol doesn’t just reinforce Napoleon’s crazed reputation. 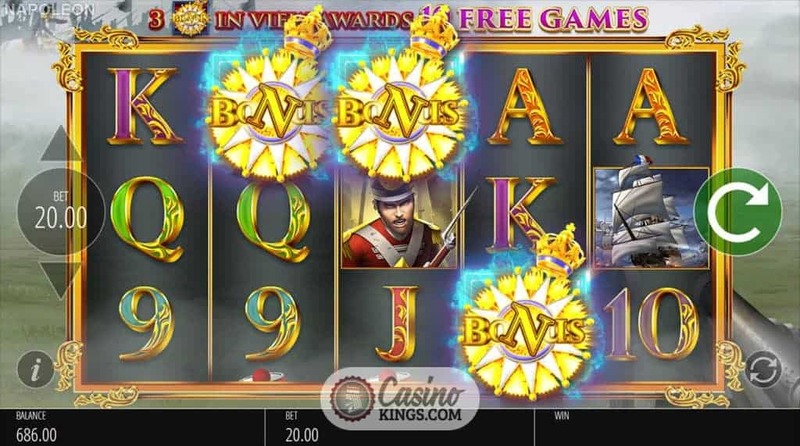 A quick check at the pay-table and we see that the great French leader offers us a Wild Multiplier, up to 16 times when he appears four times. 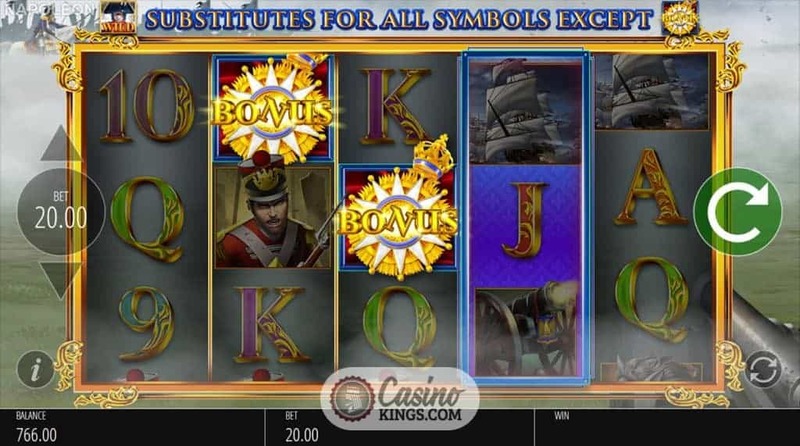 The explosive Bonus symbol is one to watch out for, offering us 10 free spins when it appears three times anywhere on the reels. 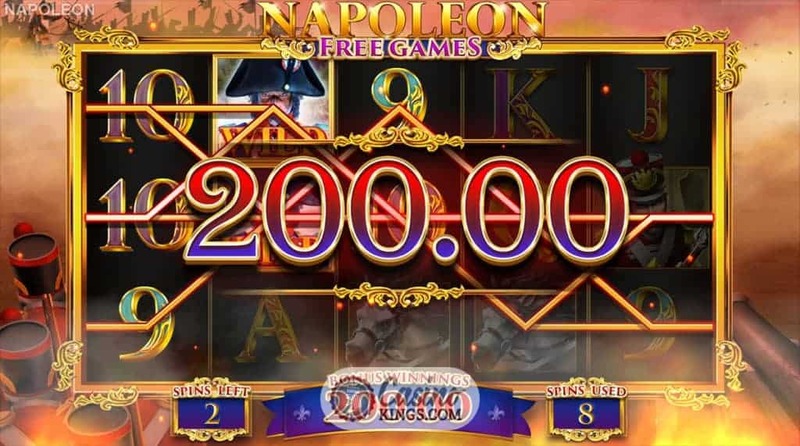 Just as Napoleon was known for his strategy, there’s more than meets the eye to these free spins. Not only can they be re-triggered faster than a reloading cannon, but during the spins two extra features are available. 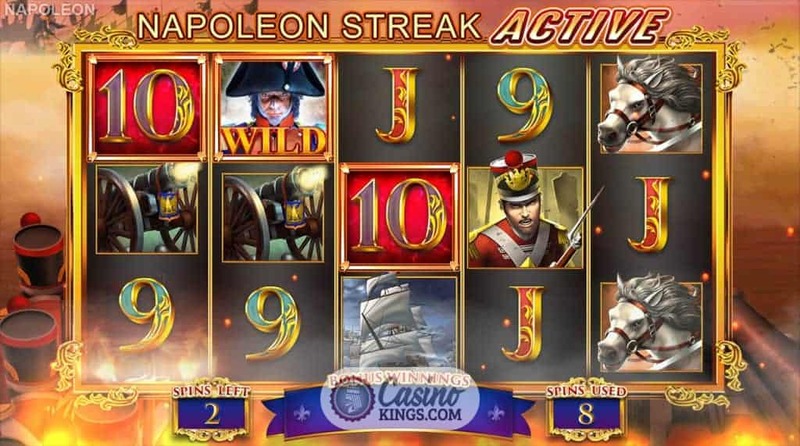 The Wild Multiplier which appears during the base game can come into play, as can the Napoleon Streak, which locks winning symbols in place and then re-spins to lock in more winning symbols. When it comes to supporting a military tactician, not everyone will root for Napoleon. But they’d be mistaken not to here. He was known for his brilliant mind and this is something Blueprint plays on by creating a simply brilliant slot. 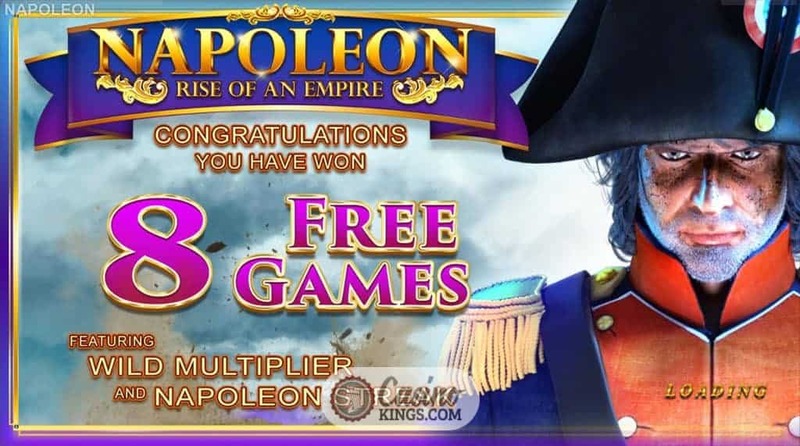 Coming at just the right time to compete with other war-based slots like ELK’s Platooners, Napoleon: Rise of an Empire gives us generous payouts and creates another universe in which Napoleon gets his final victory after all.